Sister property to Château Langoa-Barton under the same ownership, Château Léoville Barton is a slice of the great Léoville estate, purchased in 1826 by Hugh Barton. Anthony Barton runs this estate today, along with Langoa-Barton, marking the sixth generation of the family that has been involved in the running of the property. Brillant terroir here and absolutely textbook St Julien, surely a benchmark in terms of the classical style of the appellation. There has been a bit of spottiness in my tasting of some of the wines, a couple have been unusually austere, but nevertheless this is an estate that is undoubtedly on top form in the new millennia. For me 2009 is clearly first growth quality. 2010 is almost its equal, in a more classical style. 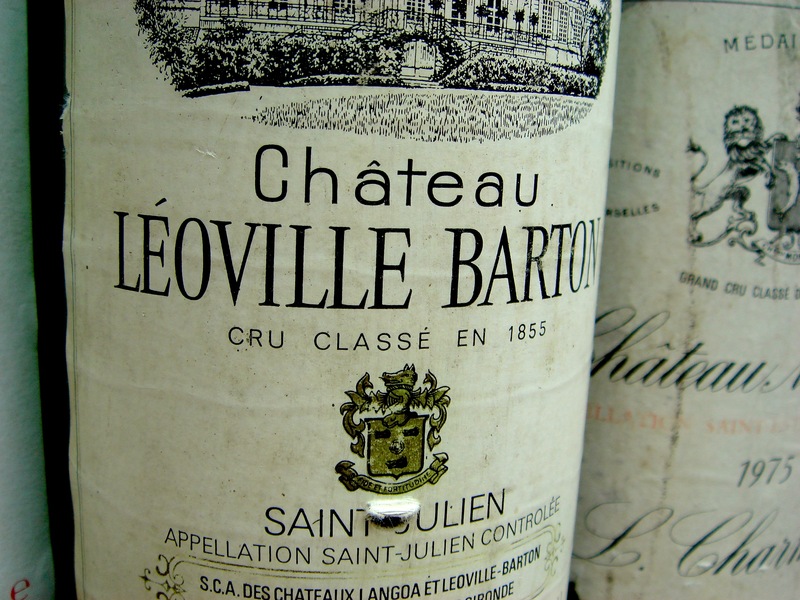 Again Chateau Léoville-Barton is reasonably priced given the quality and the pricing of its peers Ducru-Beaucaillou, Léoville Poyferré and Léoville-Las-Cases. Vineyard/Terroir: 50 hectares on gravel with a clay subsoil planted with 73% Cabernet Sauvignon, 24% Merlot and 3% Cabernet Franc. Winemaking/Elévage: Fermented in temperature controlled wooden vats and then aged in barrel for twenty months 50% of which are new. 2009 Deep and fresh looking; blackcurrants, undergrowth, spices – very enticing aromatics – opens up wonderfully in the glass; legs; spices and blackcurrants on the palate – lots of fruit as you’d expect but very nice balance indeed. Blackcurrant and cassis tones dominate the entry and mid-palate – little more austerity on the finish than Leoville-Poyferre and seemingly greater tannic grip. Still positive finish. Tremendous effort. 97+ MW Institute Nov ’13 [Earlier note] Deep and very dark; colour to the edge; inky and deep; mineral blackcurrants, a nose seemingly of infinite depth; dense and inky on the palate this is terrific stuff; fresher than Leoville-Poyferre, it is not necessarily better just different in style; this is first growth stuff as I’ve said before. Brilliant wine. Long term. 97+/100 UGC Oct ’11 [Earlier] Very deep and inky; fresh and very intense nose; focused and very precise; loaded to the brim with fruit; but very intense and concentrated; very ripe flavours; red fruits and lift with minerals. Excellent. Fabulous density; lots of extract and concentration; layers; lots and lots of fruit. Blimey! A concentrated and fantastic Leoville-Barton. Nudging First Growth quality here and this is a 30+ year wine. The blend is 77% Cabernet Sauvignon, 22.5% Merlot, 0.5% Cab Franc. Potentially 96-98+/100. Tasted 30th March & 1st April ’10 UGC Primeur tasting. 2008 Deep looking in the glass; some lift and minerality but feels pretty closed; palate dense, more yielding than the aromatics; promising blackcurrant fruit, structure and some acid. Nice palate with depth and structure. 90+ MW Institute Nov ’12 [Earlier] Deep redblack; intense looking in the glass; blackcurrants, oak resin; minerals; quite inky; real quality here yet feels surprisingly fruit driven. Full palate; dense, then come the tannins, which are pretty dry but the fruit is here. Long haul. Excellent. 92+/100 UGC Oct ’10.